I have to say SQL server as always been one of Microsoft better products and seeing it make the transition to Linux can only be a good thing. However, at the same time, I am little disappointed that the current build has such large limitations even for a public preview. 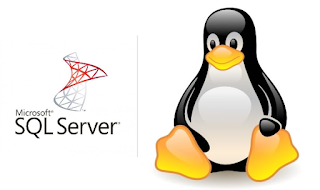 There is no working SQL Management Studio for Linux so all command are either by a windows PC over the network or SQLCMD, SQL Agent services doesn't yet work and even always on groups are not yet available. That said you can see that the framework is there and even the Active Directory authentication is almost working, however, you will get an error if you try to add a user. The install process is simple enough with just adding the repository and then making sure you SA password is complex enough. Installing BCP and SQLCMD is also a quick and painless activity. There is also a docker package available and if you are using docker in your environment already this is a perfect way to go, or even if you are just testing for development uses. Sadly I was left with the feeling it will be many more months before a fully working version will be released and that is a shame given the hype that was put into this by Microsoft.